Bharal Adventure warmly welcomes every adventure lover for being a helping hand. We would like to welcome you for interesting peak climbing in Nepal for Chulu Far East Peak. As Nepal peak climbing is famous all over the world, trekkers are eager to ascend the Chulu Far East Peak (6,059m). We are here to bankroll Nepal’s tourism thus we are packaging the Nepal tours in reasonable values. We have the potential to bequeath the first-hand soar experience as a part of Himalaya trekking. It is free from trickiness and is to be found in the flourishing Annapurna Region. Chulu Far East Peak Climbing will make you stay the elevated camp close. You will go after the extensive edge of the south-west on the ice and snow. You will come across 2 trekking routes and both routes are appearing as prominent. It is open from the Chulu Base Camp though it is moderately diverse mountains. Marching into the Annapurna will make you conversant with the Alpine understanding, glaciated rim and brilliant mountain. Some of the name are Annapurna (II, III, and IV), Pisang, Manaslu, and Gangapurna. Moving into the climbing with the trek grade ranging from moderate to hard will take you to the elevation of 6,429 meters. The Chulu Far East Peak Climbing is appropriate for the trekkers who have adequate time. They must be willing to know the things properly. Hence, you are thinking to execute it aptly you recommend you to set out from March to April and October to December. You will be staying 19 days in the far-flung places. You might have several questions. So, be sure you are choosing the reliable agency. Bharal Adventure assures you best hospitality and quality services with years and years of trekking experiences. Believe you are totally safe under our straightforward guidance. We will be staying at Apsara Bouquet in Kathmandu, Hotel Mount view Pokhara in Pokhara, teahouses (guesthouses) during the trek and camping (in tents) during the climb. This list is a guideline to help you pack for trekking and peak climbing. Also, please understand that the items listed below will vary a little according to the season and the trek duration. Those items marked by an asterisk are provided by Bharal Adventure inclusive in the service. Remember that your luggage will be carried by your porter, but you are required to carry a daypack (with your valuables or anything important) on your own. We also suggest that you pack only what is necessary. 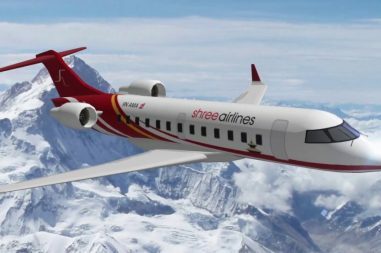 On this particular day you will land on Tribhuvan International Airport, Kathmandu where you will be warmly received by the representative staffs from Bharal Adventure. From TIA, you will be transferred into the hotel in a comfortable vehicle. These tiny things show how much we care for you. Arriving in the hotel we will be discussed on the detail itinerary. Stay overnight in hotel. This is an important day where you get to sightseeing Kathmandu in the proper guidance of our guide. Since you have lots of things to sight we will be heading in an early morning. There used to an artistic and valuable Durbar Square, at present those monuments are in critical state though it is equally valued. In Kathmandu you can observe numerous cultural heritage sites which are listed in UNESCO, counting Swyambhunath, Bouddhanath and Pashupatinath. In the evening we will turn up in the hotel a bit earlier since you need to prepare for the peak climbing. Stay overnight in hotel. After spending 2 days in Kathmandu on the third day you will get out to accomplish the peak climbing, starting from Besi Sahar which is positioned at 130 km west of Kathmandu. While driving you will be passing through the countryside, viewing thoughtful rivers. It is basically a hillside hill situated on the step of Annapurna and Manaslu. After 6 hours of driving you will arrive in the Besi Sahar. Stay overnight in hotel. From Besi Sahar you will move towards Dharapani by using the jeep. It is a beautiful destination to trek and for staying. Whether it is the native or the nature both will serve you the best. The pristine atmosphere will make you feel as you are in dream. Stay overnight in tea house. This is the day which will make you sense of a beautiful pastoral life as you will get to have dramatic Tibetan village prior to arrive at Chame. Here, you will get to outlook Annapurna II, Mount Lamjung very closely. The good thing is if you have forgotten to buy necessary things for trekking you can buy at Chame. Stay overnight in tea house. On this day taking a vertical and thin trail all through an extremely thick forest will take you to the intense curved trail. The trekking trail unlocks and is enclosed by the grand Himalayan Peaks. Strolling all through the delightful places you will find yourself at Pisang village, viewing the quick peek of Pisang Peak. Stay overnight in lodge. On the following day, you will move from Pisang village to Ngawal taking the upward movement. The greenery and pure water streams will make your day and you will start to love the idyllic life. Stay overnight in the tea house. From Nagwal you will tend to move Yak Kharka and it will rise gradually to take you above the Base Camp. In that sense it has significant responsibility. During the snowy time the landscapes is enclosed with white snow. You will admire the trek as you might be excited to trek the base camp. Stay overnight in tea house. Leaving Yak Kharka you will go after the steep vertical trekking trail, passing rocks. Through the journey you will be accompanied by Annapurna Himalayas. 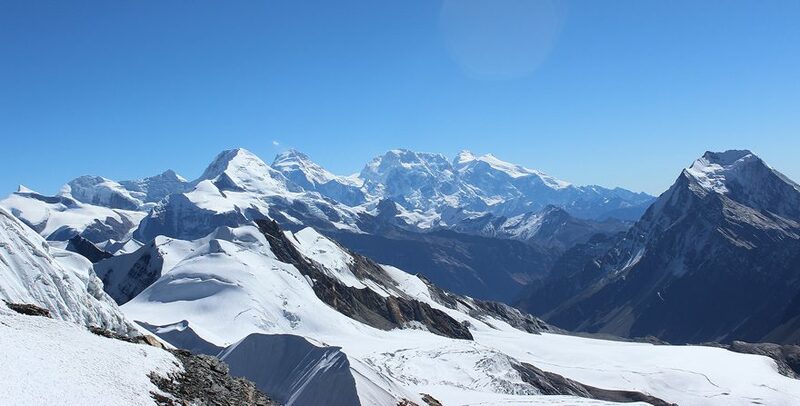 On the next day you will begin to trek the High Camp so today we will give you time for rest. Stay overnight in tented camp. Going after the vertical ascending following snow slopes. Continuing the journey you will ascend viewing Annapurna Valley, Chulu East, West and Chulu Far East. In additional, be ready to outlook the sparkler Pisang Peak and then you will be at your destination close to small lake. Stay overnight in tented camp. With the magnificent spot you will head to conquer Chulu Far East. In the 2nd stage you will be strolling through the mountain trails and rock. The challenging trek will finally bring to the summit of Chulu Far East where you can outlook Gangapurna, Pisang Peak, Annapurna (II, III and IV) and Chulu West. Thus, celebrating the victory you will return to the base camp. Stay overnight in tented camp. From the Base Camp you will trek to Manang, going after the Julu Khola and the forest. It is a beautiful village situated below the Thorong La Pass. Here, you will find Ghale, Gurung and Lama people, following their distinct culture. Stay overnight in tea house. On the following day, you will start to trek Yak Kharka as you have already trekked here you will not come across any difficulty. 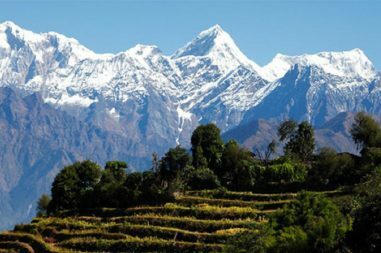 At Yak Kharka you will be able to observe Tukuche, Nilgiri, and Dhaulagiri. Stay overnight in tented camp. Leave taking from Yak Kharka you will move to Thorong High Camp taking gradual ascending. You will get to know additional nature of trekking in the Himalayas on this day. Then, you will arrive at your destination where you will set the camp. Stay overnight in tented camp. Passingthe Thorong La you will arrive at Muktinath, the pilgrimage site. You can visit Vishnu temple along with monastery and it shows that there exist religious harmony in Nepal. Muktinath is one of the religious places for the pilgrimage. Stay overnight in lodge. From Muktinath you will again head to Jomsom and it is a nice place to set up the trek. The cool and simple lifestyle makes you connected with Jomsom. While you are in Jomsom you can taste the local wine made from Apple. Stay overnight in lodge. On the next day you will take the flight to Pokhara leaving Jomsom. Arriving in Pokhara and taking some break you will relaxed. Arriving in Pokhara you will check into the hotel to have some rest then, taking lunch you willgo for short sightseeing in Pokhara. Stay overnight in hotel. Spending a delightful time in Pokhara, taking breakfast you will drive to Kathmandu. You will move to the hotel and involve in cultural program. Stay overnight in hotel.